This page is all about my favourite fictional hero, John Thornton from Elizabeth Gaskell’s North & South novel. 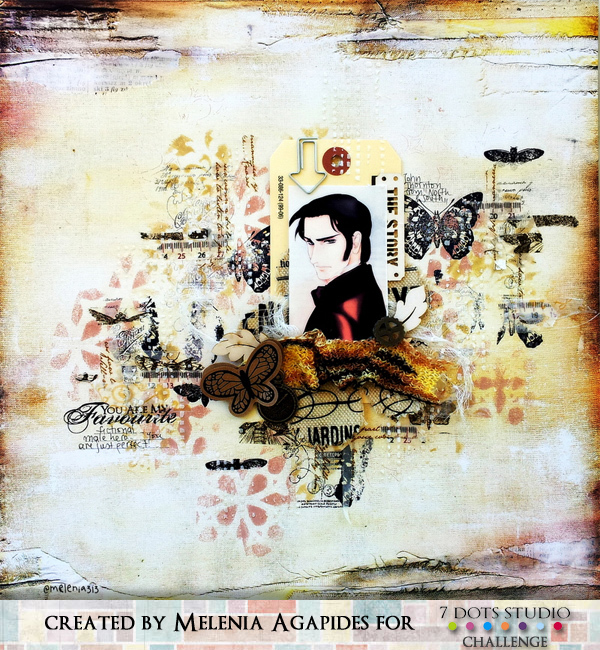 So it’s a masculine page and I wanted to illustrate this wonderful character using the amazing 7 Dots stamps (for a grungy feel) and very few other embellishments. The “you are my favourite” stamp served as a title! You may notice that my hero’s photo is actually a sketch, which I found at Pinterest. 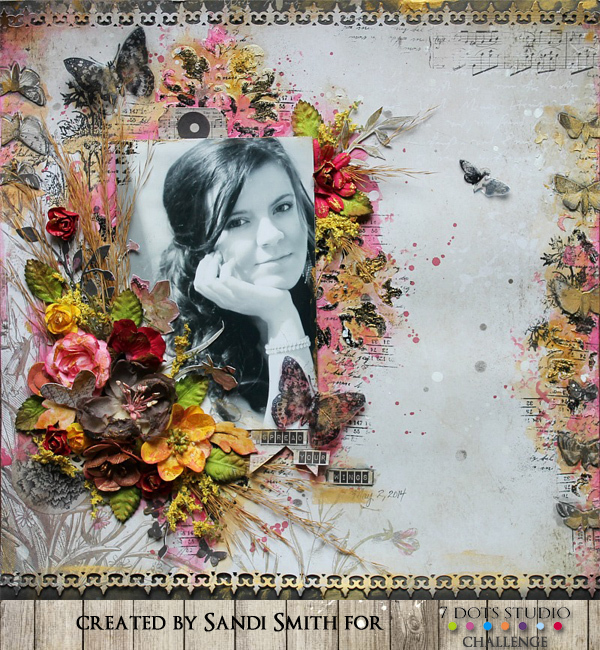 I used the techniques that Stephanie Papin showed at the Pop&Colours 2 seminar, which I believe were the right choice for this type of layout. My background paper comes the Dreamer collection and the stamps from the latest 7 Dots Collections (Nature Walk, Cold Country & Illumination). On this photo my father takes away my mother and me from maternity hospital. I love to see how happy they are on this picture, how they smile and their eyes are shining. 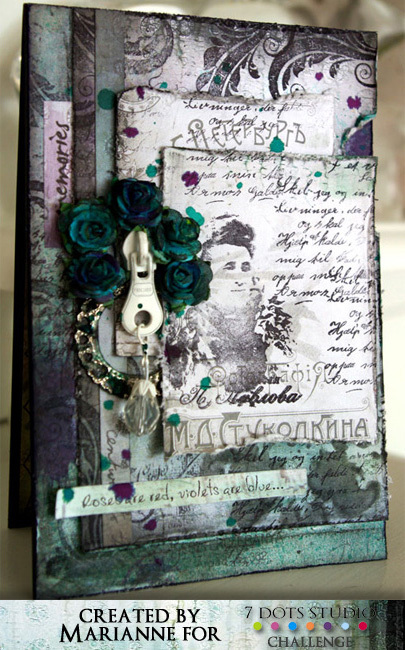 I used embossing to add balance on the left side. I love how it looks. Text stamps are definetely my must have! I love stamps!! And particularly stamps that can be used in many different ways – just like the gorgeos stamps from the different 7Dots Studio collections. So this time my project is filled with different stamps and make a perfect card for a special person! I love to use different stamps in my projects. They make a lo more interesting and dynamic. I used 7 different stamps to create this LO. 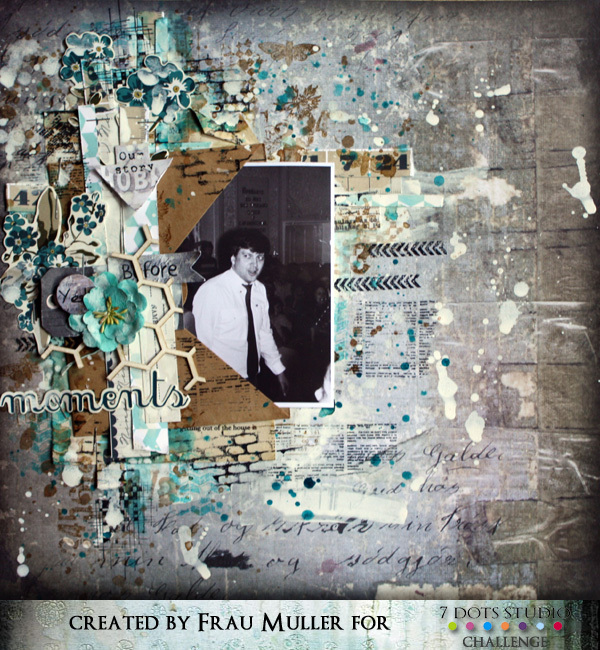 Some of them were used as a part of the background and some – to create paper embellishments. 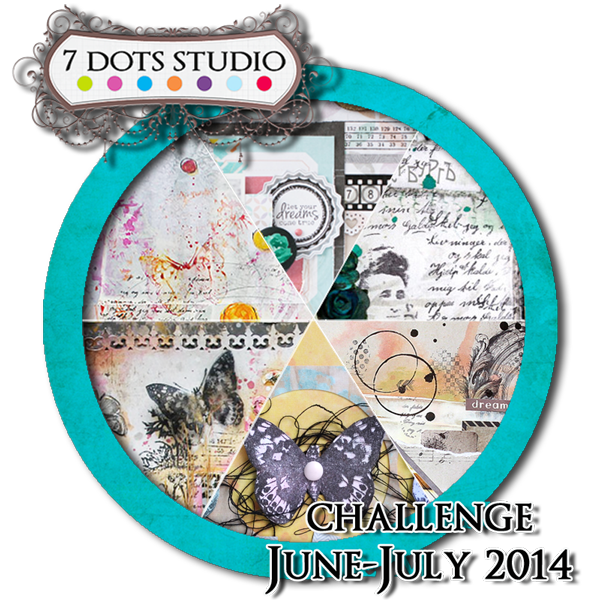 I just LOVE 7 Dots Studio stamps! 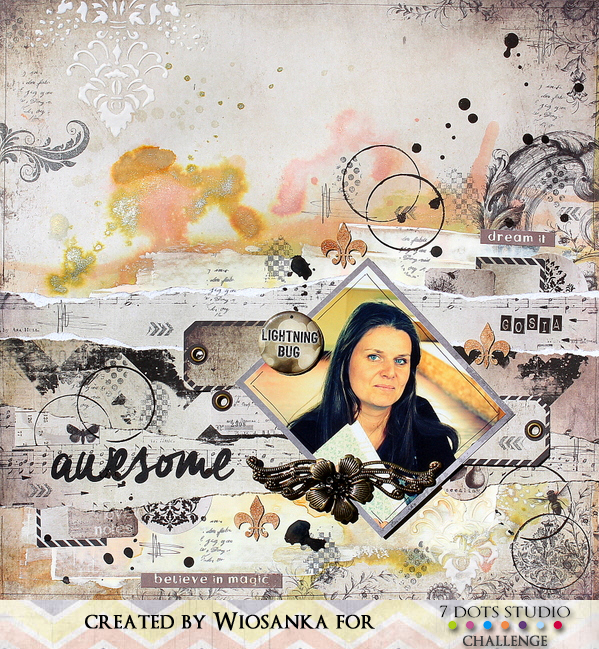 I use them in all my project This time they emphasize the beauty of my friend – Gosia. 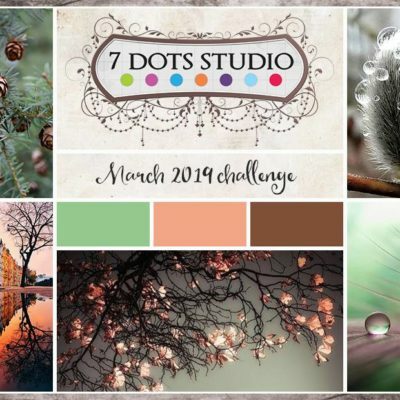 The June Challenge of Including Stamping on your layout was an easy one for me as I always put the gorgeous 7 Dots Stamp collections to good use. 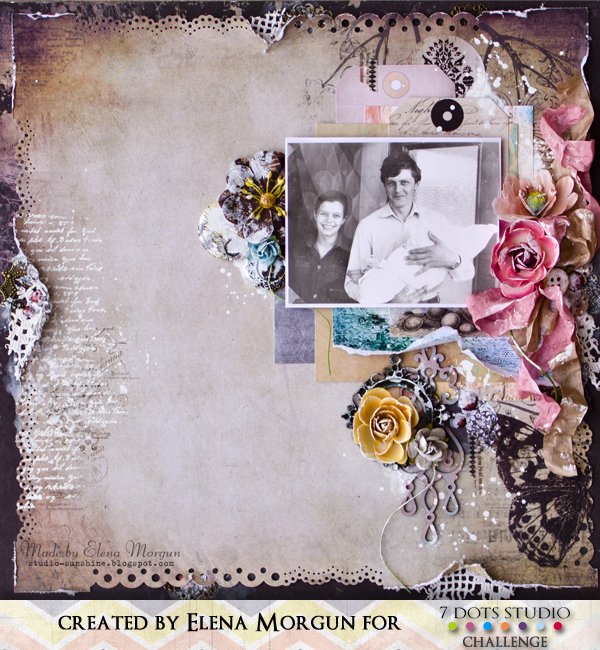 I love to imperfectly random stamp on my backgrounds and the script stamp from the Cold Country collection is always a nice touch to photos. I know I have said this before by I love the Butterflies from the Nature Walk stamp Collection! I stamp them on acetate with Staz On Ink and then cut then out…you can even layer them for that extra dimension!! Hello friends! It’s my last project for 7DOTS as DT-member. I’d like to thank Tusia, all DT-members and all our readers and fans! Being the part of this amazing time I was really happy! And this card is my summer message to all of you! Have a great summer guys and be happy! Every time I read the title of this layout, the song by Ace of Base starts to play in my head. But it is a beautiful life! 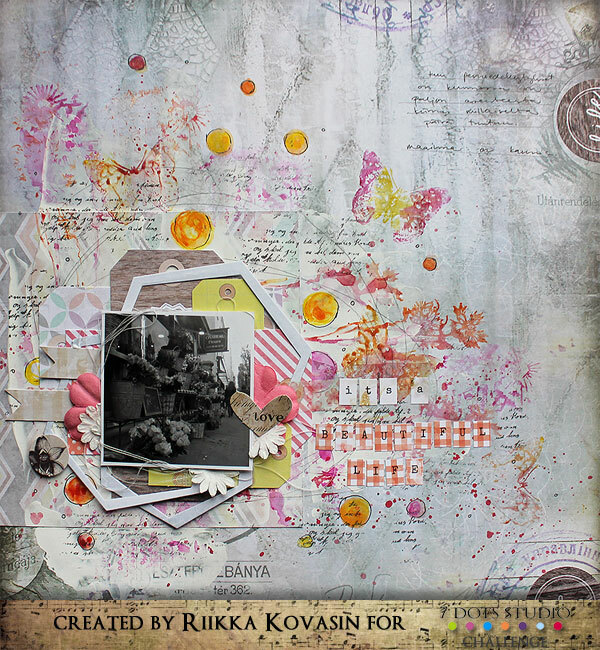 I wanted to keep the layout cheery and happy so I used Neocolor crayons for the stamping and created a mix of flowers and butterflies to it. The picture in the layout is of a flower shop in Paris and I learned the technique with the Neocolors and bought the crayons in there, too. We announce winners by the end of the month. One lucky person will win a 50 USD grab bag of our products.